POWER GRID CORPORATION OF INDIA LIMITED (POWERGRID), the Central Transmission Utility (CTU) of the country which is under Ministry of Power is one amongst the largest Power Transmission utilities in the world. POWERGRID is playing very much vital role in the growth of Indian power sector by developing a robust Integrated National Grid and associating in the flagship programme of Govt. of India to provide Power for all. Innovations in Technical & Managerial fields has been resulted in coordinated development of power transmission network and effective operation and management of Regional and National Grid. In the year 1980, the Rajadhyaksha Committee on Power Sector Reforms submitted its report to the Government of India suggesting that the extensive reforms were needed in the year Indian power sector. In the year 1981, the Government of India has taken a policy decision to form a National Power Grid, which would pave the way for the integrated operation of the central and regional transmission systems. In the year 1989 under the Companies Act, in the year 1956, the National Power Transmission Corporation Limited was been formed, and assigned the responsibility of planning, executing, owning, operating and maintaining the high voltage transmission systems in the country. 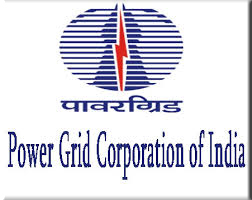 In October 1992 , the National Power Transmission Corporations name was changed to Power Grid Corporation of India Limited, as we know of it today. Keeping pace with changing business environment, POWERGRID had set its Vision and aligned its mission and objectives as a vanguard of foresight. Grid management on regional basis started in sixties. Initially, State grids were inter-connected to form regional grid and India was demarcated into 5 regions namely Northern, Eastern, Western, North Eastern and Southern region.In October 1991 North Eastern and Eastern grids were connected. In March 2003 WR and ER-NER were interconnected . In the year 2012 POWERGRID has been mostly conferred with National Award for Excellence in Corporate Governance by Institute of Company Secretaries of India (ICSI). In the year 2011 POWERGRID has been mostly conferred with Environmental and Sustainable Development Award by Indian Chamber of Commerce (ICC). POWERGRID has been conferred with Award for "Excellence in Innovation in Tower Management". CSR activities in POWERGRID has been commenced with the introduction of CSR policy in the year 2009 and accordingly a beginning was made by allocating 0.75% of PAT of previous year as CSR budget for FY 2009-10. On the receipt of the DPE's guidelines on CSR in 2010, the CSR budget was revised to 1% of PAT of previous year for undertaking CSR initiatives under different thrust areas. During the year 2009-10, 2010-11 & 2011-12, this is as the Corporation incurred an expenditure of Rs.4.29 crores, 15.58 crores & 24.93 crores, respectively, on the various CSR activities covering the thrust areas like Education, Health, Infrastructure, Livelihood, Tree Plantation, Ecology & Environment and Natural Calamities.